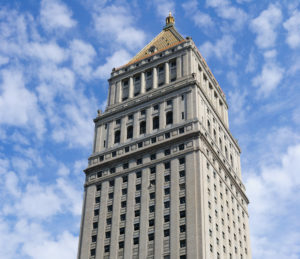 The Second Circuit Court of Appeals on Wednesday reversed a lower court’s decision and ruled that a Syracuse, N.Y., collision repairer had presented enough evidence that its allegations related to Nationwide’s assertions of market rates could survive a motion for summary judgement. The decision in Nick’s Garage v. Nationwide relies in part on a similar ruling Wednesday in Nick’s Garage v. Progressive. The opinions look at the specific language of policyholders’ contracts with the carriers and New York law, Vehicle Information Services attorney Erica Eversman observed Friday. She noted that the arguments might not apply to a different carrier’s policy or state’s law (despite the court referring to its own decision against Progressive. Nevertheless, the Nationwide opinion still provides a strong piece of ammunition for shops seeking to counter a common insurer argument, Eversman wrote in an email. “In essentials, the insurers brought issues that shops and insurers have been at odds over for years to a very influential court, and they have now been told that their self-determined labor rates are not what the prevailing market rate means,” Eversman wrote. Nick’s Garage sued Nationwide on behalf of customers who had assigned the collision repair facility their policy benefits. Nationwide had refused to pay some of the shop’s charges, which would have left the customers on the hook for the difference. New York Northern District Court Judge Mae D’Agostino rejected many of Nick’s Garage’s arguments and declared summary judgment (an automatic win) in favor of Nationwide. On Wednesday, a “substantial part” of her decision was reversed by a Second Circuit panel made up of Judge Pierre Leval, Judge Raymond Lohier Jr., and Eastern District of New York Judge Edward Korman. Nick’s Garage still has to prove its points in trial and survive motions to dismiss. But the appellate court’s ruling in the Nationwide case (and Progressive case) bolsters the argument by shops that a reasonable prevailing rate is what the actual market charges — not necessarily what DRP or even non-DRP repairers have agreed to accept. “With respect to labor rates, Insurer undertook to show that its settlement offers were sufficient to repair the vehicles to their pre‐accident condition using the ‘going rate’ for labor. It relied on a declaration of Kevin Reynolds, one of its claims managers,” Leval wrote for the panel. (Italics his; bold emphasis ours.) “Reynolds averred that, during the period at issue, Insurer allowed $44–46 per hour for hourly labor rates, and that this ‘was the going rate in the marketplace during the . . . timeframe, and was the hourly . . . labor rate accepted by all collision repair shops in the Syracuse, New York marketplace with the exception of [Garage], and one other Syracuse area auto collision repair shop.’ Reynolds further averred that Insurer ‘had back‐up collision repair shops willing to repair and restore the . . . vehicles at issue to pre‐accident condition’ at the price Insurer offered in its estimates to Garage. “If Nationwide’s obligation had been to pay amounts for which it, the insurer, could reasonably be expected to repair an insured’s car, the Reynolds Declaration might have been sufficient. The declaration is reasonably understood as meaning that, in dealing with Nationwide, all the repair shops in the area (excepting Garage and one other) accepted Insurer’s $44‐46 rates. If that had been the measure of the Insured’s obligation, Garage would have been required, in order to defeat the motion, to show that, notwithstanding Reynolds’s averment, there was a genuine dispute of fact as to the labor rates Insurer could reasonably be expected to pay. Leval also pointed out Nick’s Garage’s claim that Nationwide and other insurers had granting shops other concessions in exchange for reduced labor rates — which would skew the rate data.